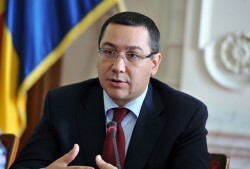 Prime Minister Victor Ponta underlines the necessity of austerity measures. This year, Romania´s public debt level will increase further, though. In the last years, Romania´s public debt level has risen dramatically. In 2008, public debt has totaled € 28bn. In meantime, the figure has almost doubled to € 51bn. This article includes a total of 107 words.